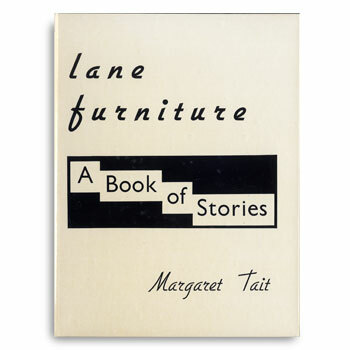 Lane Furniture is Margaret Tait’s only published book of fiction. This is an extremely rare, out-of-print edition. The book contains six short stories, all written in 1956: ‘The Incomers’, ‘Sixteen Frames Per Second’, ‘The Sun and the Moon’, ‘Nice Little Home of a Big Steel Man’, ‘Out of Touch’ and ‘The Headless Monster’. LUX has a small number of copies of this and other rare Tait poetry volumes, to complement the recent Subjects & Sequences: A Margaret Tait Reader (also available through the shop). Please note, all copies are in excellent condition but have some slight yellowing of their pages due to age. All copies will be sent by registered post.